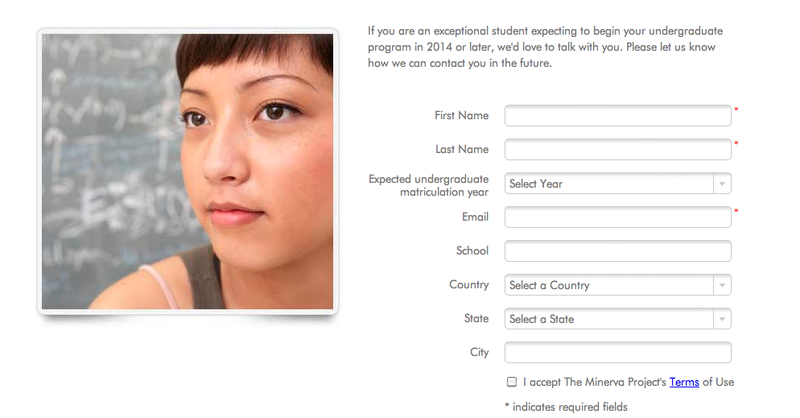 With $25M From Benchmark And Larry Summers Advising, Can Minerva Build An Online Ivy? Well, we’ve said it before: Technology is changing education. It’s flipping the classroom, bringing instructional videos to the masses, and dragging online higher education into legitimacy. Investors have begun to hear the call, as was evidenced today when Benchmark Capital made its largest seed investment to date — $25 million — in a startup/university called The Minerva Project. Sure, it’s not quite the $41 million Color raised pre-launch, but it’s certainly head-turning for an education startup. Hopefully it can avoid the rough early start and crushing expectations that come along with big seed rounds. To help it take flight, the startup is announcing that Larry Summers, former Harvard President and U.S. Secretary of Treasury will chair its advisory board. At first blush, with this kind of big, early funding, well-known names, and outsized ambition, the project is intriguing to say the least, if not full of bravado. What do I mean? Well, describing itself as “the first elite American University to be launched in more than a century,” The Minerva Project is aiming to rethink the role of colleges and universities, taking into account the ways in which the Web has completely altered the distribution of and access to information. Minerva Founder and CEO Ben Nelson (who is also the former CEO of Snapfish) points out the fact that the resources of the country’s elite universities are already constrained, as he cites the example of Yale, which recently made the decision to add 250 students to its incoming class. Doing so cost the top university a quarter of a billion dollars. Albeit just one example, the tuition rates at both colleges and universities is rising, saddling students with debt that often takes years, if not decades, to pay off. What else is it about this new project that has attracted the attention of investors and financial gurus like Larry Summers? The Minerva Project aims to offer a liberal arts education that is defined by an “extraordinarily rigorous” learning and admissions process. Not only does Minerva want to attract the same bright young minds that attend Harvard, Yale, and Stanford, it wants a global student body, both at home and abroad. Nelson says that he envisions it like this: Just like traditional institutions, Minerva will be a four-year university, with two semesters, and four classes per semester. But, for the first year, Minerva students will live in their home countries, learning the core curriculum, so that by their sophomore year, in spite of language differences, all the students will have the same basics. Then, from the start of their sophomore year through graduation, students will be encouraged to live in a new country (or at the very least, a new city) every semester. In this way, Minerva wants its education to be informed by experience and by the resources available online: “We’re not going to offer a single foreign language class, but if you’re not trilingual by the end of your four years, you won’t graduate,” Nelson says. When I asked Nelson whether or not the institution will have a physical campus, he said that it very definitely will have as many campuses as students require. Much of that obviously depends on demand, if the school’s student body has a bunch of kids from Germany, they might establish a campus in Berlin. Much of that will be determined by the students themselves, who will be encouraged to live together as they move through their four years, but won’t be living in dorms, at least not in the traditional sense. And speaking of those students, Minerva is designing its admissions project so that it does not consider factors such as lineage, athletic ability, state or country of origin, or capacity to donate. So, don’t expect Minerva to have classes that demonstrate “perfectly curated” diversity, don’t expect it to have an NCAA Championship-winning football team, and don’t expect to find any classmates who are there because their parents donated a new building. It’s all based on intellectual ability. If you have a big brain, are creative, curious, and willing to work hard, you just may make the cut. In terms of the day to day, classes will consist of 10-25 kids, and will be delivered online, likely in the same mobile/web live, synchronous model employed by 2tor in its degree-focused online ed programs. And thanks to the growing quality of educational content on the Web from startups like Udacity, Udemy, and ShowMe, for example, students will be expected to supplement their four curriculum-based classes with online learning. From the sound of it, some of it will be “encouraged,” and some of it may become part of the curriculum. No doubt Minerva will be looking to partner with many of these growing edtech companies to build its online platform. In terms of faculty, the startup is creating what Nelson calls a “Nobel Prize for teaching” that will award the best existing professors (currently teaching at top universities) presumably with some financial incentive to help it create the content for its courses, in turn allowing those professors to “preserve the most challenging courses of their careers.” To support the content created by these Lords of Academia, Minerva will be looking to hire Ph.D graduates whose strength is in teaching — not in research. From all this, you can see that a somewhat unique educational experience is starting to take shape, but, aside from the significantly lower cost, one of the things I like the most about the project is the so-called social contract (although this may end up in writing, who knows) the institution will strike with its students. “If we actually want to accelerate the life trajectory of these students,” the founder says, “our job can’t be over at the moment they graduate.” Upon graduation, rather than thinking of students as alumni whose job is to support them with donations, Nelson wants it to be the other way around. This doesn’t mean it will be sending students a check in the mail every month, but the school actually wants to help students thrive after graduation by finding them like-minded collaborators, hunting down grant money, and fellowships — actively, not passively. For those who graduated from institutions without strong alumni networks or had to deal with indolent career counseling, this probably sounds pretty good. Of course, this all sounds good in theory, if not a little nebulous, but if the school plans to grow beyond classes of 250 kids, and in doing so, cultivate lifelong (as it claims) symbiotic and supportive relationship that facilitates Genius Grants, Nobel Prizes and placement in management positions. It’s going to need a real network, real counseling — not just ambitious self-starters. Of course, this is where Minerva reserves the right to be meritorious in the support it gives post-graduation. “The more you push the world forward, the more you really buckle down and work hard, the more we will promote you — find funding for your startup, connect you with career opportunities,” the former RedBeacon Chairman says. Minerva wants to create an ethos of creating, so if students’ self-promotion is inversely proportional to the work they put in and what they accomplish, the less Minerva supports them. And vice versa. Now that is a contract I can get behind. Right now, this all sounds pretty audacious, in both the right ways, and perhaps in slightly delusional ways as well. And to that point, the cherry on top? Minerva will begin accepting its first class in 2014. Yup. Audacity of hope aside, Minerva is building on principles that will resonate with many people, young and old. Regardless of whether or not Minerva becomes the next Harvard, higher education (and beyond) is broken, and these experiments are imperative to finding a workable, sustainable solution that creates a new, better way of learning over the long-term — and doesn’t ignore the underlying, institutional problems. For more on The Minerva Project, check it out at home here.